I really enjoyed our stay at the park. It was a very affordable option at only $300/month. 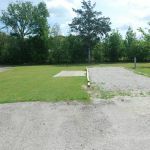 It is a converted mobile home park so the lots are really spacious with concrete pads and extra large parking spots in front of each spot. We were able to park our custom tow trailer, my guy's Harley Ultra Limited (large) and my Ford Escape side by side in that parking space the whole time. The managers were awesome; polite and helpful all the time. If we needed anything, they would assist immediately. In the front building, there was a laundry area with 2 washers and dryers and a full bathroom with a shower and toilet (like in a home). There was also a seating area with a big table and chairs. Everything was always clean in the whole building. Unfortunately the wifi never really worked at all. You could get email but even with a wifi booster in our coach, we weren't able to stream movies or shows. There were only 8 or so channels available from the antenna as well (including 3 shopping and 2 Spanish). There was also no pool but that wasn't as a big a deal to us as not having wifi, even in the Texas heat. 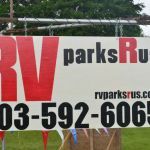 We camped at We RV Champions of Tyler (formerly RV Parks R us) in a Motorhome. Nice clean park. Easy in and out. Good water and electric. Friendly staff. 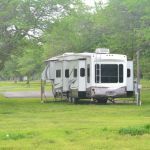 Not sure about the last evaluation but may have lots of permanent campers but most RV parks do now. No problem with them at all. Only have back-ins; that is why I gave it a 8. Going to put some in soon. Looks like a new park. I will stay here again if needed as I pass through this area. Have some trees and you can have your choice of spots. Good Wi-Fi. 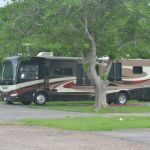 We camped at We RV Champions of Tyler (formerly RV Parks R us) in a Motorhome. A very basic park. It is clean. We were the only non full timer. It is close to town. 5 miles. Hosts are friendly. We stayed 3 nights due to visiting friends in the area. Rate should be $20.00. Over priced. Could hear highway traffic. Would not stay again. 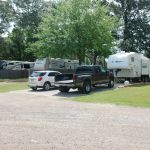 We camped at We RV Champions of Tyler (formerly RV Parks R us) in a Motorhome. Very spacious grass lots with slab patio. Lots of space between units and ample parking for extra vehicles or equipment at each site. Utilities worked as they should with no problems. Wi-Fi was okay most of the time but had it's moments. No cable available but enough clearance of treetops to get satellite reception. 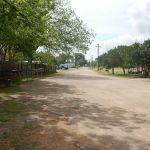 Well maintained, clean full bathroom, meeting room, complete laundry with two washers and two dryers. Gravel approach in a large rectangular circle. Quiet atmosphere very little hwy noise and 24 hour security with hosts living on site. Nice shade trees on the outer circle of sites. Convenient to 323 Loop in Tyler (4.5 miles to Walmart) and easy access to all the big box stores and convenient location at the 49 Tollway and Hwy 64 junction. Will accommodate all sizes of rigs. Just no pull-through sites unless you pull across the center sites in grass. The ground is a bit soft so be sure to use your wide pads before setting the gear down. We will stay here every time we come through this area. Love our stay for two months. 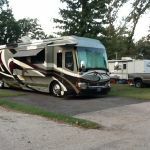 We camped at We RV Champions of Tyler (formerly RV Parks R us) in a Motorhome.